Developed by Microsoft, PowerPoint is a commercial Presentation application which is a part of the Microsoft Office suite. To convey visual information to groups or individuals, various religious, corporate and educational organizations uses PowerPoint as an effective tool. 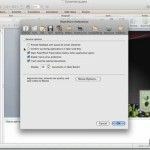 Through the use of animation, graphics and text, this Presentation software package allows the user to make informational and dynamic slides. Further on, the slides are displayed on projection screens for educational, training or business Presentations. With a little creativity, you can also create macros, tables, charts and inserts videos, audios and images as well. For the purpose of training or educational contexts, PowerPoint can be easily used to create worksheets and tutorials. Further on, the simple vocabulary worksheet may use clip art of different objects for scholars to do the labeling with their names. The tutorials can also be given to individual students when they are printed onto paper. No doubt, PowerPoint being a valuable tool enables you adding music, sound and effects to your animation. Therefore, you can simply use PowerPoint to make interesting and unique animations. You can also animate elements from the clip art library or from your own drawings. You can download free animations for PowerPoint as animated templates or purchase a good animation background for PowerPoint from any subscription-based service like PresenterMedia. By using PowerPoint, you can create photo slide shows or digital album for personal promotional uses. For instance, you can create a touching tribute to your family member or can also make a fun Presentation featuring childhood photos of newly wedded couple during their wedding reception. You can read more articles on Organizing a Presentation. The above mentioned are just some of the uses for PowerPoint. By doing a research on web, you may discover more enticing uses for Microsoft PowerPoint. Henceforth, now you can make a Presentation as per your experience and skills and can take full advantage of your own expertise. 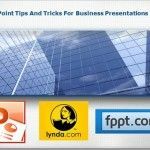 You can discover other uses of PowerPoint including those related to educational presentations, games for education purposes in the school or even professional PowerPoint presentations to strike a deal or an important business.